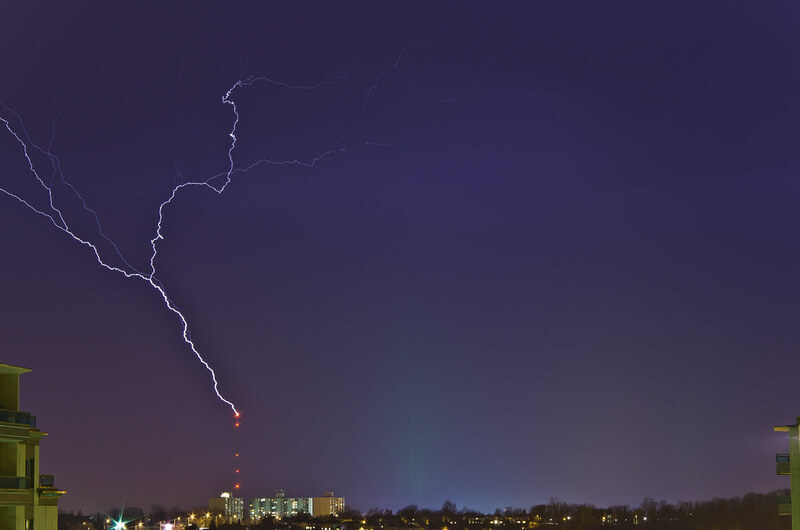 Upward Lightning in London/April 12, 2014 - Ontario Storms Site! I have never really seen upward lighting before, so this night was interesting for me. 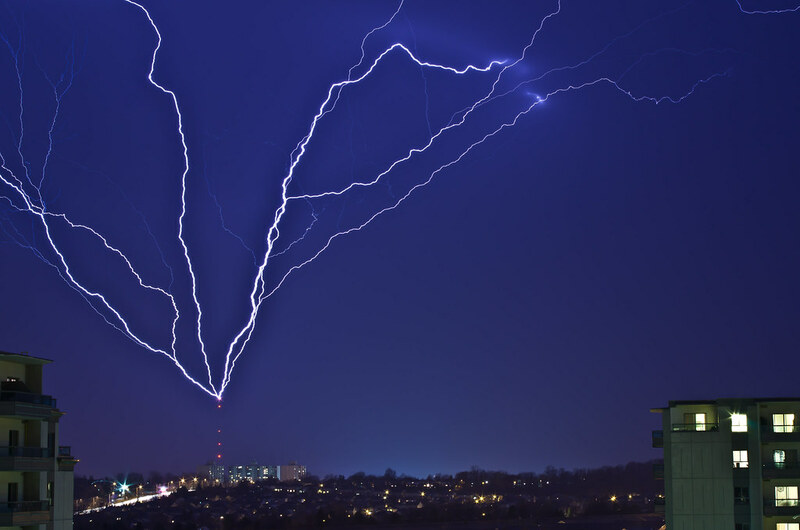 It actually would only occur off of the radio transmission tower and was incredibly dramatic. I captured five separate stills out of the around dozen times I saw it happen off the one spot. London was under a weak part of the front flanks runoff I like to call it that was passing just south of Chatham at the time I think. 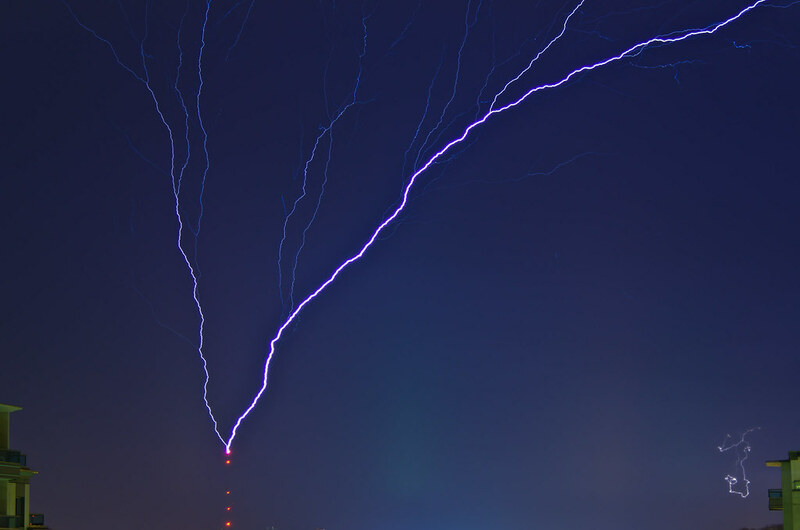 It was really weird to watch lightning grow like a tree in time lapse into the sky. It moved slower than a CG strike it seemed as well.